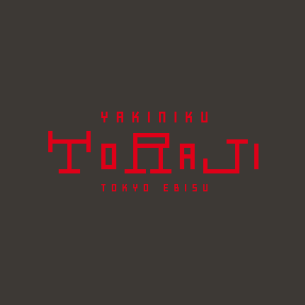 TORAJI's signature, and served since our founding in luxuriously thick cuts. Through trial and error, we developed a unique method of bringing the salted tongue to table utilizing a never-frozen, chilled technique. We are committed to the best freshness and the best texture. Since we want you to enjoy kalbi as it is truly meant to be, we emphasize sourcing the finest quality of raw meat and managing it at every step of the way. This freshness is what underscores our quality menu. In 2002, we introduced filets, one of the finest cuts of meat, where freshness makes or breaks the dish. Our idea was to present them in cubed form, making them easier for customers to handle and to get the most out of. In 2009, this dish was presented as a monthly special. It gained such attention that it became a regular part of our menu. This thick-cut meat is another signature TORAJI dish. Offal is one of the best cuts of meat and comes from the beef intestine. This has various names in Japanese, like shimacho and tecchan. Toraji only uses the fattier cuts for a delicious flavor. They are carefully prepared and maintained at their freshest. This item features our signature cubed beef filets in a thinner-cut form. We listened to customers who said they wanted a thin-cut, bite-sized dish, and presented this item in 2015. Served with a dipping sauce with a kick of pepper. We only use the finest grade A5 Japanese black sirloin. Our luxurious thick-cut style brought an impact to the barbecue world. This is truly one of our founding dishes. A secret dish not originally on the menu but served to regulars at the Ginza 8-chome location is reborn! This amazing cut of tongue center meat is limited in quantity, so order now.